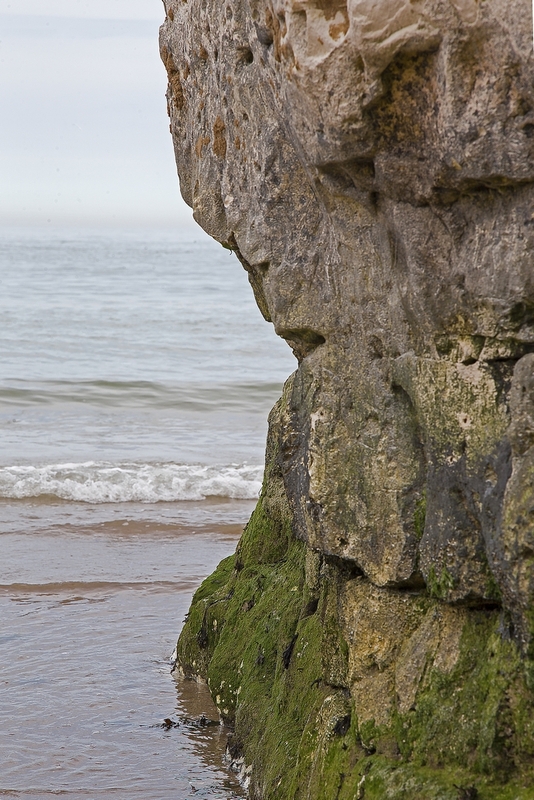 This is simply a groove, notch or indentation formed along the base of a cliff when it is undercut by the sea. It occurs where the waves break against the cliff and where erosion is most powerful. The photograph shows a wave cut notch being formed at the base of a chalk cliff. The waves can erode only the parts of the cliff that they can reach, so the base is eroded faster than the rock above it. The notch undercuts the cliff, leaving the rock above it unsupported and liable to collapse. When the unsupported rock collapses the process is then repeated on the newly exposed cliff face and a new wave cut notch is formed. 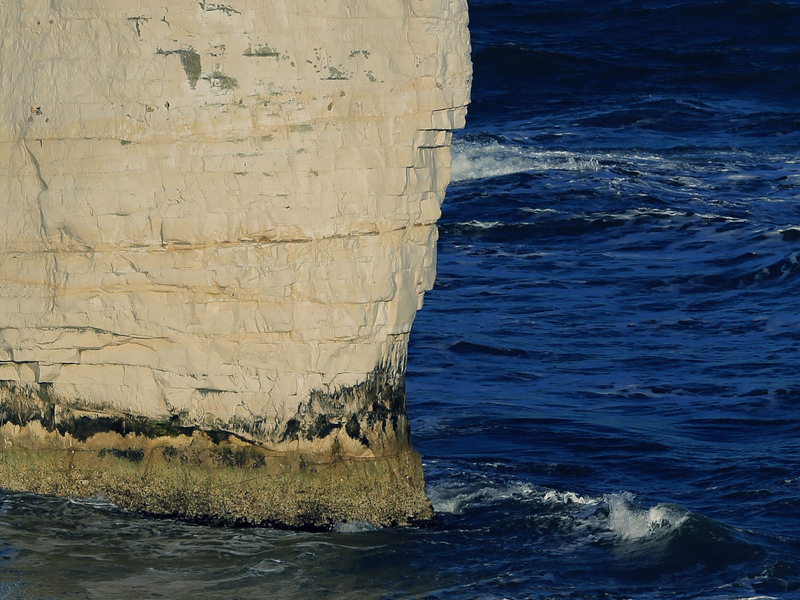 The photograph on the right shows a close-up view of a wavecut notch around the base of a chalk stack on the coast near Dover, Kent. At high tide the water level would be just above the top of the green section, and that’s where the effects of hydraulic action and attrition are greatest. In this stack the wavecut notch is also in a weakened section of the chalk sandwiched between two bedding planes. This has enabled the sea to erode the rock more quickly than would otherwise have been possible.